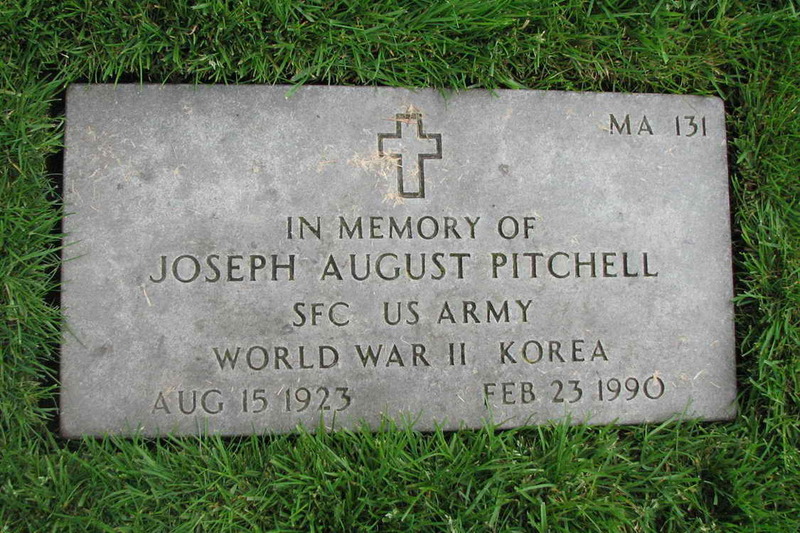 Grave marker for Joseph A. Pitchell in Section MA Site 131 of the San Francisco National Cemetery, San Francisco (San Francisco county), California. 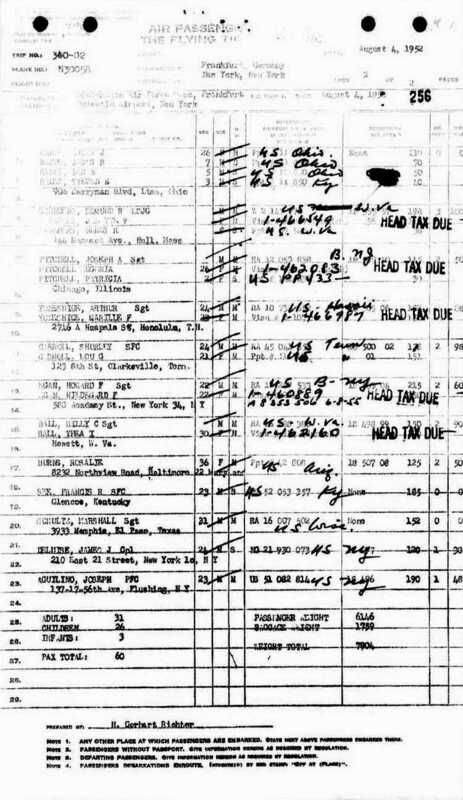 Joseph enlisted in the Army at Elizabeth, NJ on 30 January 1942. He served in the Medical Detachment and was attached to Company E, 508th PIR. He remained in the Army with a series of re-enlistments and retired on 30 June 1962 with the rank of Sergeant First Class. 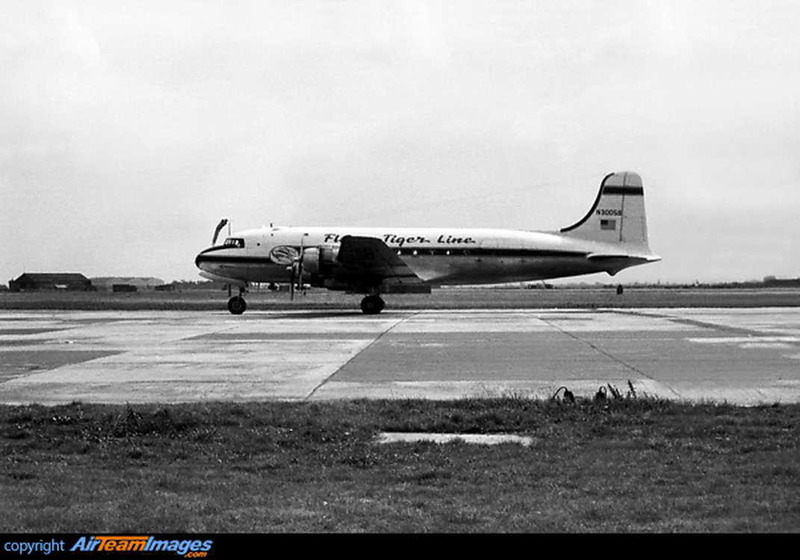 On 4 August 1952, Sgt Pitchell was a passenger on Flying Tigers Flight 340-02 returning to the U.S. from Frankfurt, Germany where he had apparently been stationed again. Aircraft N30058 was a DC-4 and is shown here at London-Heathrow airport. His military decorations include the Combat Infantryman Badge, Parachutist Badge and the Presidential Unit Citation but do not reflect any additional awards he may have received during his service in Korea.